We don’t skimp on the onions in this old time favorite. 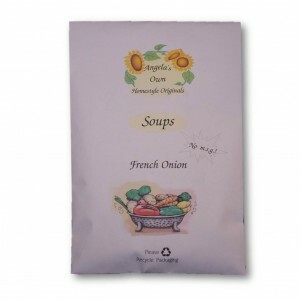 Enjoy as is, or baked into french onion soup bowls listed below. Also try adding dry soup mix to your roast when baking it. Each package makes 4 to 5 servings. In a medium sized pot combine package with 5 cups of water. Bring to a boil, reduce heat, cover and simmer for 5 to 10 minutes until onions are soft. 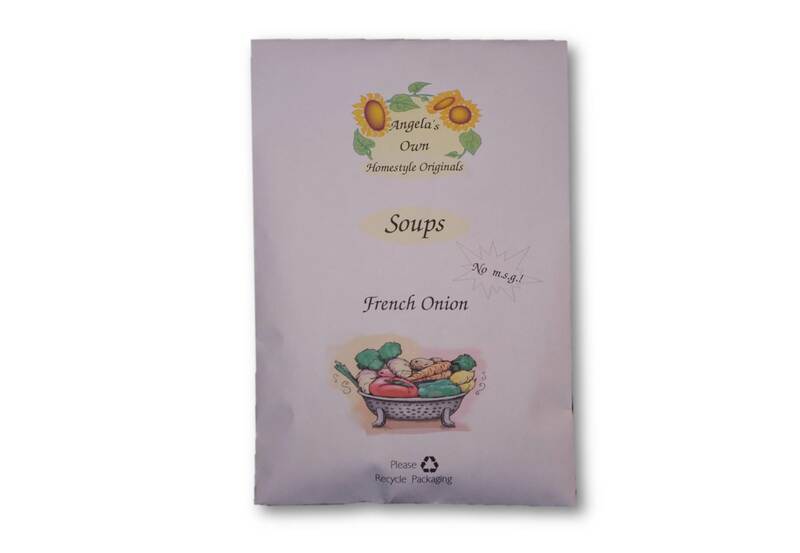 Combine water and soup mix and cook according to package instructions. Place 4 french onion soup bowls (or other oven safe bowls) onto a cookie sheet and divide soup into the 4 bowls. Place one baguette slice on top of each soup and cover each with a slice of cheese. Broil 5 minutes in the oven or until bubbly and golden brown. Serve immediately.